The second stop on John's and my European adventure was Paris! We look the Eurostar (i.e. the chunnel) from London to Paris, and it was suchhh a nice way of traveling - no pesky airport security and the lines moved quite quickly. 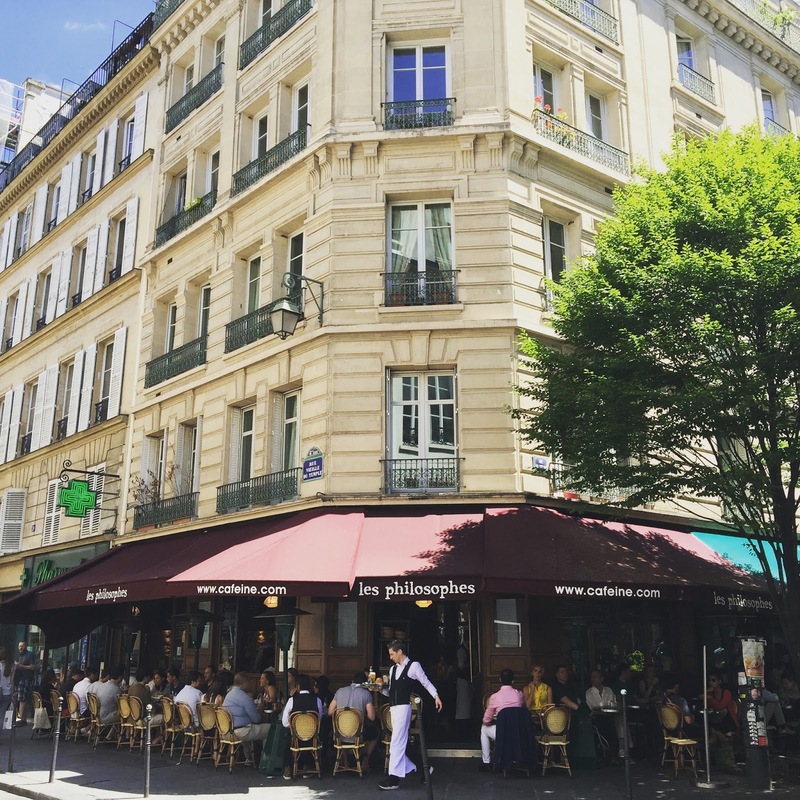 We arrived in Paris around 10AM, and it didn't take me long to fall in love with the city... the whole vibe was laid back and casual. We started our time in Paris by eating at Les Philosophes which was very conveniently located next to our AirBnB in the Marais district. Similar to London, we did a ton of research before on where we wanted to eat, and we were pleasantly surprised to find out this was less than a block away. We feasted on a cheese platter and a few sandwiches... and with some champagne and a beer, it was the note to start our trip on! After lunch, we headed to the Luxembourg Gardens to walk around and explore. John and I both felt the burning desire to hang out with the little kids and rent a push sailboat. John showing his new Parisian friend how its done. The gardens were so expansive, and honestly, you could spend a whole day just walking around, exploring, and enjoying the scenery. The next morning we woke up bright and early and headed for Notre Dame. The first day we were in Paris, the line was crazyyyy long, so we knew we would want to get there a bit before it opened. We did the cathedral tour as well as the tower (which were two separate lines... boo!). The architecture was absolutely incredible, both inside and out. I mean honestly, I realize that it is gothic architecture, but man oh man, is it ever gothicccc. We were there on a Sunday morning and there was actually a mass going on... it was such a cool thing to walk through and experience. The view from the Notre Dame towers was the best view of Paris from our whole trip. And the bells... they were shocking when they rang, but so beautiful - it felt like we were in a different world! After Notre Dame, we hopped on the metro and headed to the Louvre. Side note: I really liked the metro system in Paris. It wasn't quite as nice as the tube in London, but the ticketing system was so simple. One ticket = one ride (no matter where you go)... easy peasy and you don't have to worry about varying costs! After the Louvre, the Champs Elysees, and then the Arc de Triomphe. John and I both agreed that the Arc de Triomphe reminded us a bit of the Jefferson Memorial in DC. Not sure why, but it just did! Of course, it did not take us long to learn the wonders of Parisian sorbet. And of course... the mother ship! 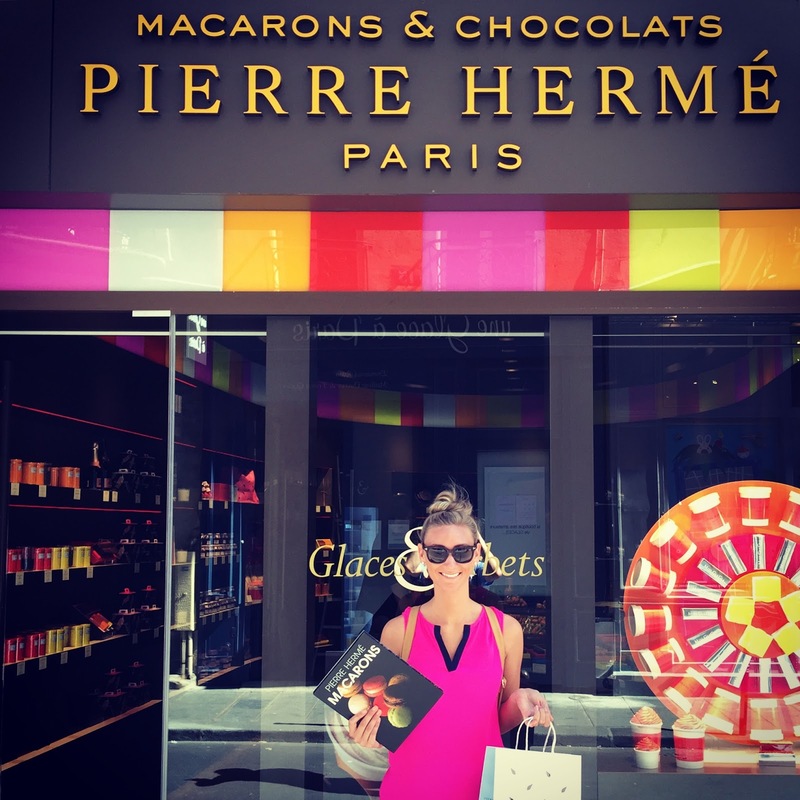 No trip to Paris would be complete without some macarons... and I love my macarons! 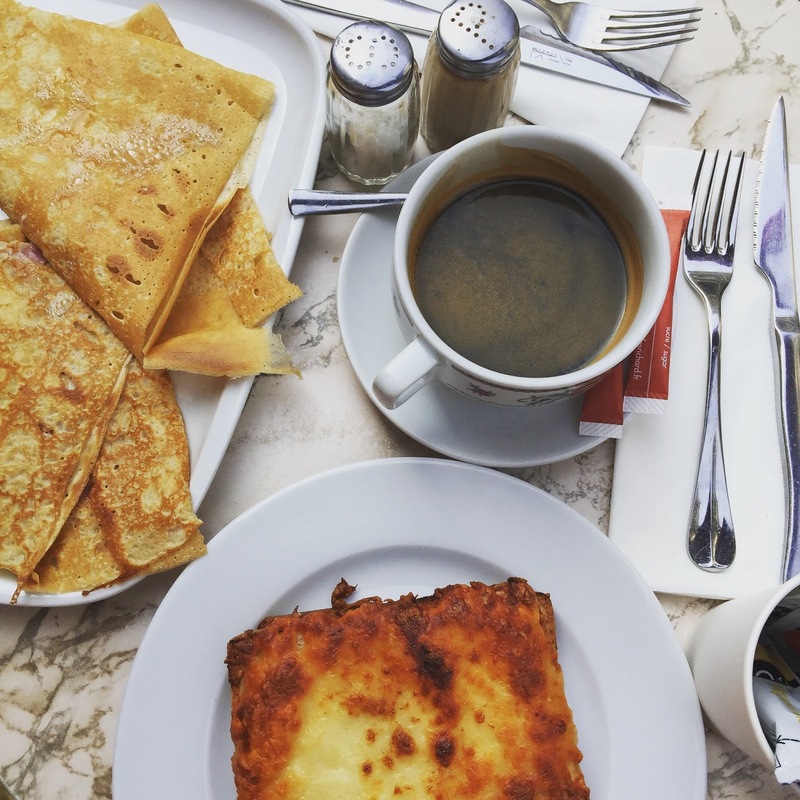 Every morning in Paris started in the same, beautiful, delicious way... crepes and un cafe for John and croque monsieurs for me. Are there any gluten free Parisans?? How do they deal?! 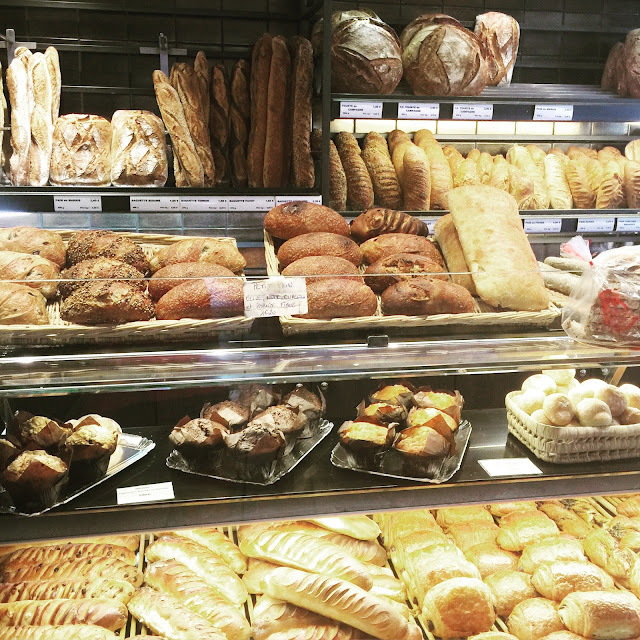 So much bread, croissants, and deliciousness at every corner! On our third day in Paris, we took a river cruise down the seine. It was a fun way to see the sights, and it gave our tired legs a rest after walking a ridiculous amount the prior 5 days. After our river cruise, we headed to Sainte Chapelle. This was honestly one of my favorite parts of our trip to Paris - a gothic chapel with the most incredible stained glass that I've ever seen. John and I honestly stared at the stained glass for over an hour. Each pane in the windows depict different stories from the Bible, and it was really cool being able to decipher what exactly it was that we were looking at. We finished day 3 with some delicious falafel in Le Marais - uh-mazing!! John wanted to go back again on our last night (and I although I would have loved that, I insisted we go somewhere that we hadn't been). On our final day in Paris we headed to the Palace of Versailles. But before we left, we wanted to pick up picnic food to eat in the garden... our first stop, a boulangerie! We bought a couple baguettes to eat at Versailles, and a few croissants to eat for breakfast. Those croissants - mind blowing. Honestly, they melted in your mouth... I'm still dreaming about them! 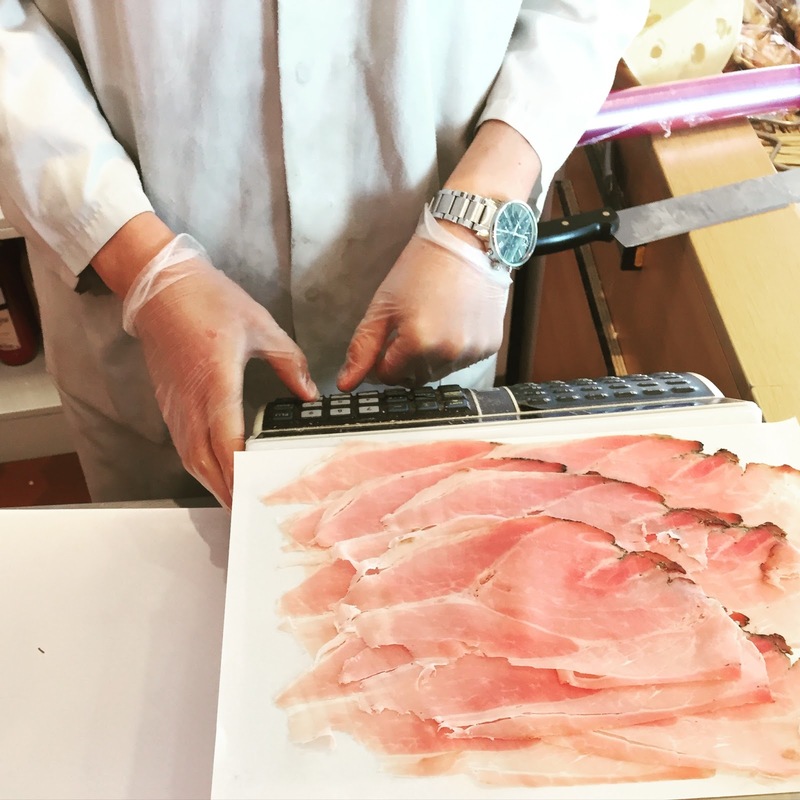 Next up: A cremerie and a charcuterie! Delish! 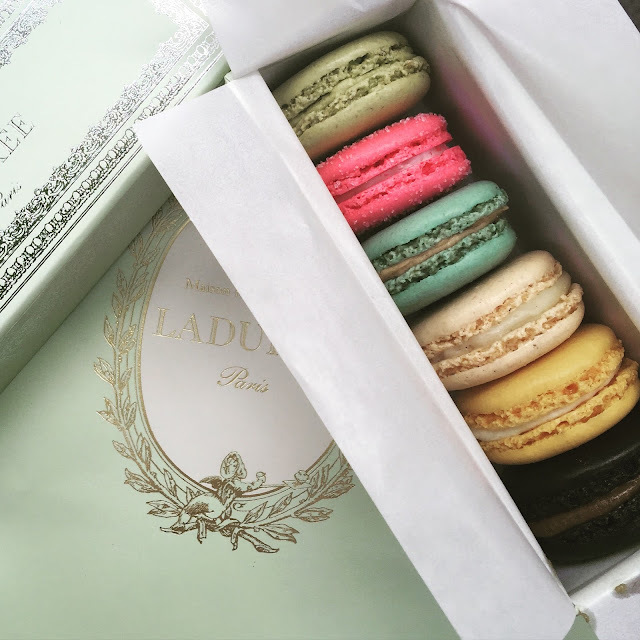 And no Parisian picnic would be complete without macarons! Let me tell you, Lauduree was tasty, but Pierre Herme was out of this world. The flavors were so delicious... I felt like John and I had to think and talk about each one after eating them! Then we were off to Versailles! As with all of our exploring, we took the metro, and it was quite slick - no issues at all (except for the fact that it was hottttt...!). There was so much to explore at Versailles. 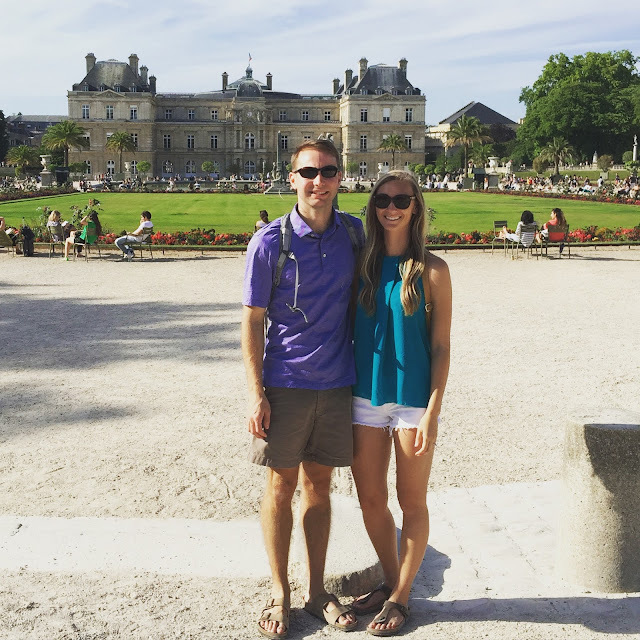 We toured the palace, gardens, and Marie Antoinette's estate. The amazing Hall of Mirrors. 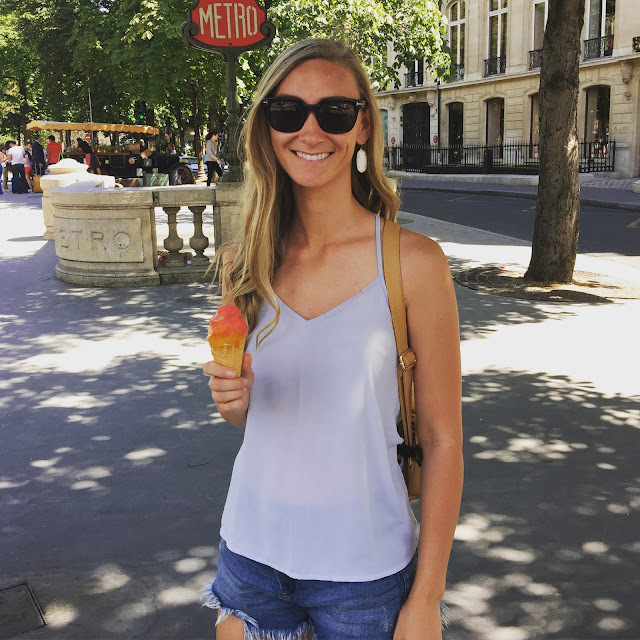 When we were in Paris, the weather was hot, hot, hot... like over 100 degrees (...of course the one time we go to Europe there is a European heatwave and it is cooler back home in Arizona... can't catch a break!). On our final afternoon in Paris we headed to Montmartre and Sacre Coeur. 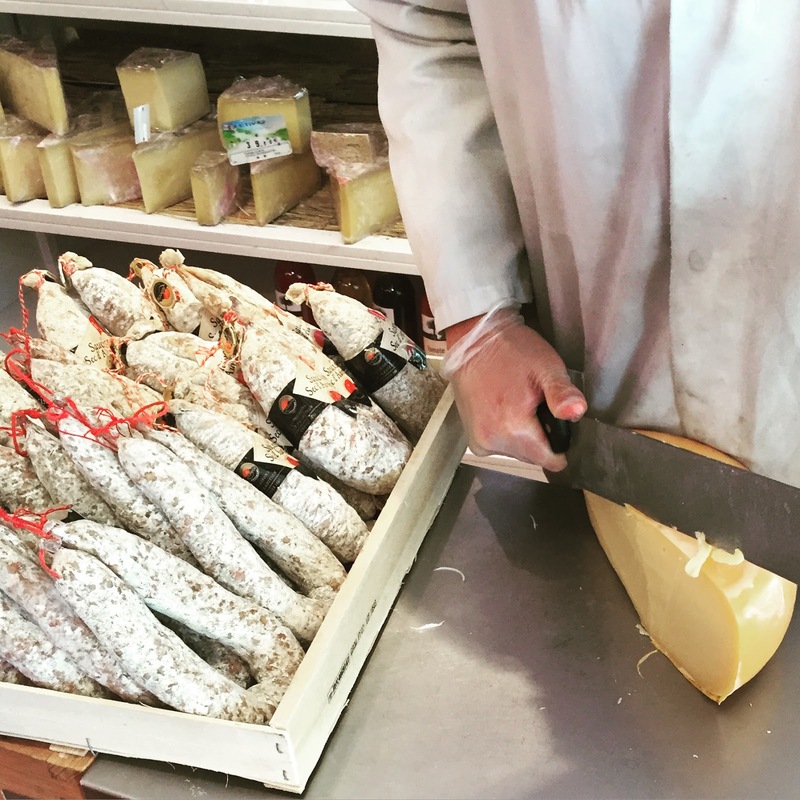 Montmartre is a charming neighborhood with artists selling their work. John and I bought a few drawings that we are excited to hang in our home... and how cute is the little man that drew them?! He was kind enough to let John take a photo with him. 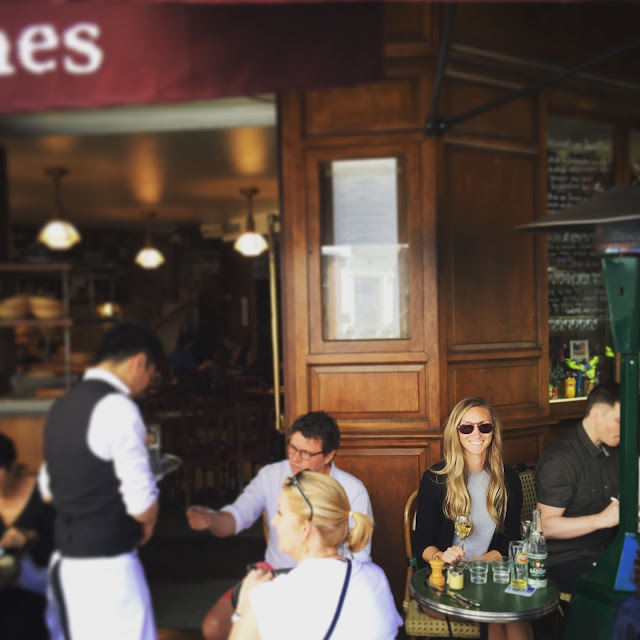 Dining in Paris is very different than the US. Of course Rick Steves stated over, and over, and over again, but we didn't fully understand it until we were there. In Paris (from our experiences, at least), you are really in control of your own dining experience. You finished your drink and want another? Just ask. You would like more bread with your meal? Just ask. You want your check? Just ask. Basically, you'll be left alone by your waiter until you initiate your request. For our last night in Paris we leisurely walked around, saw the Hotel des Invalides, and headed to the Eiffel Tower. The Eiffel Tower at night was magical... honestly, it felt so special being there as we watched the sun set - it was such a wonderful night. And before leaving Paris, we made sure to add a lock to the Pont des Arts (i.e. 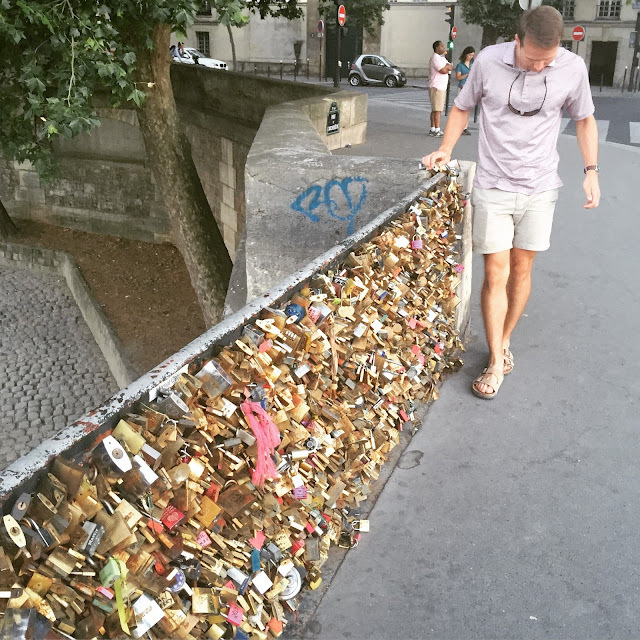 the love lock bridge). 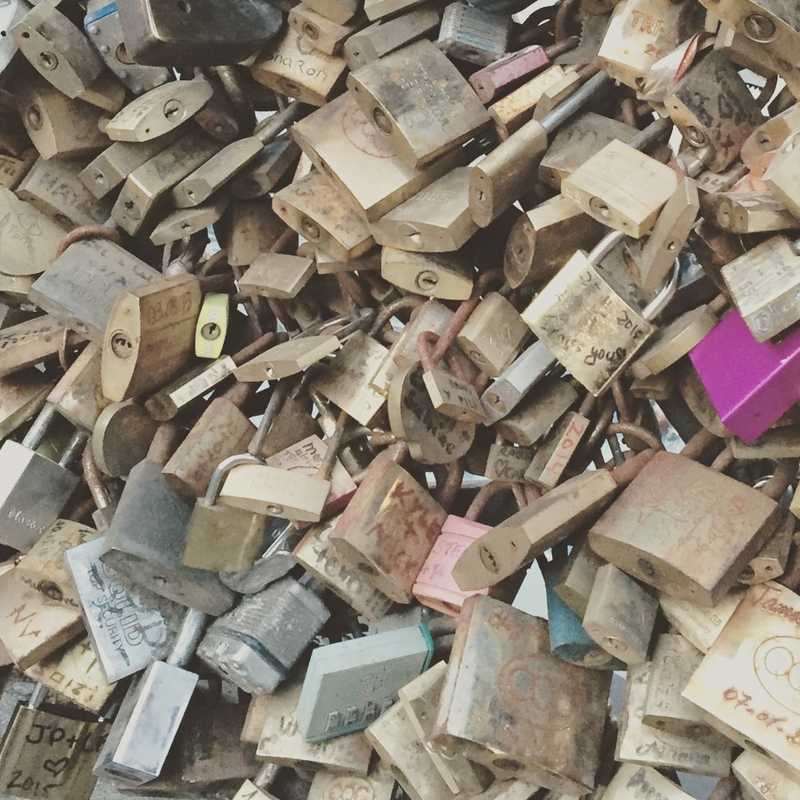 Our lock is in the very bottom left of the below picture! We really couldn't have asked for a better time in Paris. What an amazing visit to Paris! Y'all took some seriously fantastic pictures on your trip. BEAUTIFUL pics!!!! Isn't Ste. Chappelle amazing??? I'm so glad you made it there!! My husband really wanted to go to Versailles, but we didn't make it there. Whoops. Next time!! The macrons are beautiful!! I've heard they are very finicky to make (temperature, altitude, etc. ), so I can't wait to hear about your adventure in making them!! Wow, everything about this is amazing. It is all so beautiful and picturesque. I can't even imagine what it looks like in person! Beautiful photos! Makes me want to go back! 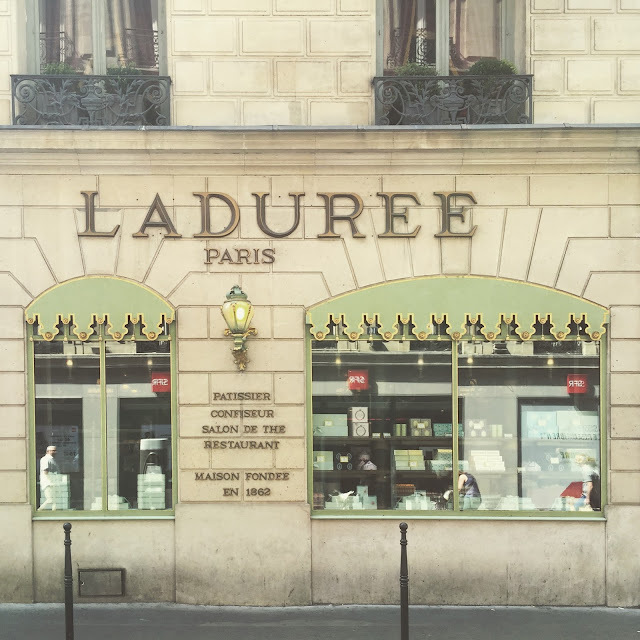 Sounds like you had a great time and ate well - which is half of the fun in Paris! So many gorgeous pictures!!! You're right, it would be so difficult to be gluten free there! Your pictures are AMAZING! I am so glad you guys had fun! Amazing pictures from an amazing trip! Ah, makes me want to go back so bad! I absolutely loved the feel of paris. AH! Lisa, amazing! Ladureé has the best macarons! Such gorgeous photos! I definitely want to go to Paris. Drooling over your pictures, seriously. Those macaroons... omg! Just every picture...breathtaking! What an amazing time. The food looks so incredible. I feel like Paris cuisine would be right up my alley. So glad you had fun! I would enjoy walking around the gardens and seeing Marie Antoinette's home. 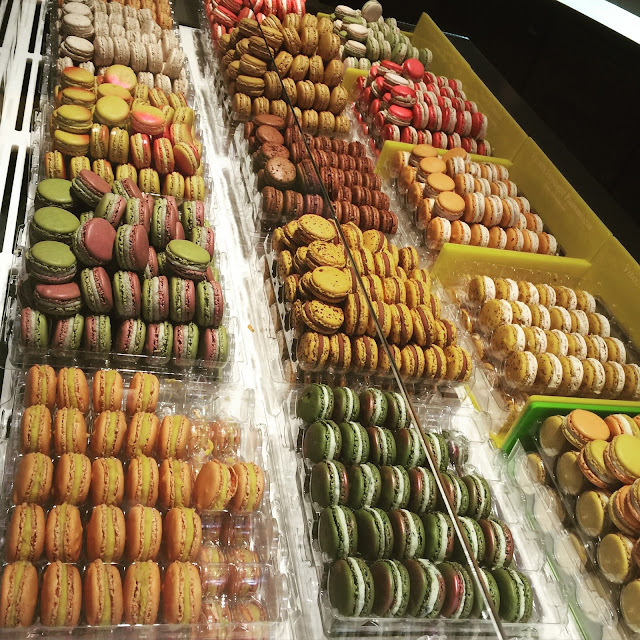 I have never eaten a macaron, maybe I should. Holy cow, you did just as much as I did the whole summer I lived there ;) Luxembourg Gardens were always my favorites, and I loved all of the animals at Versailles! Oh this makes me MISS it so much!! So glad yall had such a wonderful time!! Live all your pictures- so beautiful! Wow, this sounds like an absolutely amazing trip. Glad you got to see and do so much, and that you have such great photos to remember it all! Wow your pictures are AMAZING!! Looks like y'all had a fantastic time! I'm itching to go to Paris now! 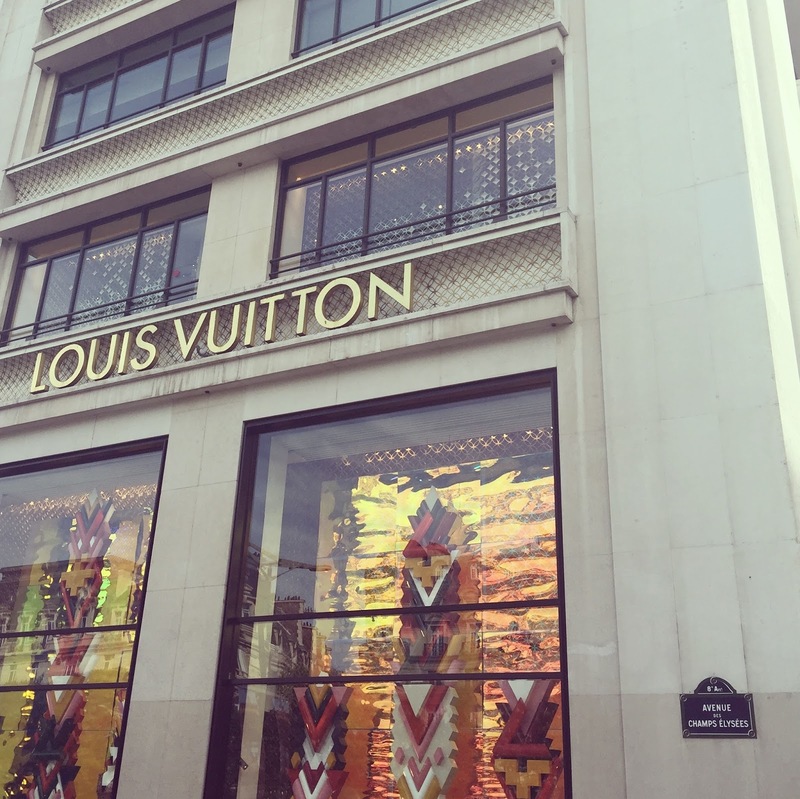 Your photos are so beautiful and it looks like you saw so much while in Paris! My cousins went a couple years ago and brought me back some Ladurree macarons. They were phenomenal! Paris looks good on you! Beautiful city and beautiful recap and photos!